This time of year I get excited in anticipation of crows huddling into pairs, pulling sticks and building a new nursery. 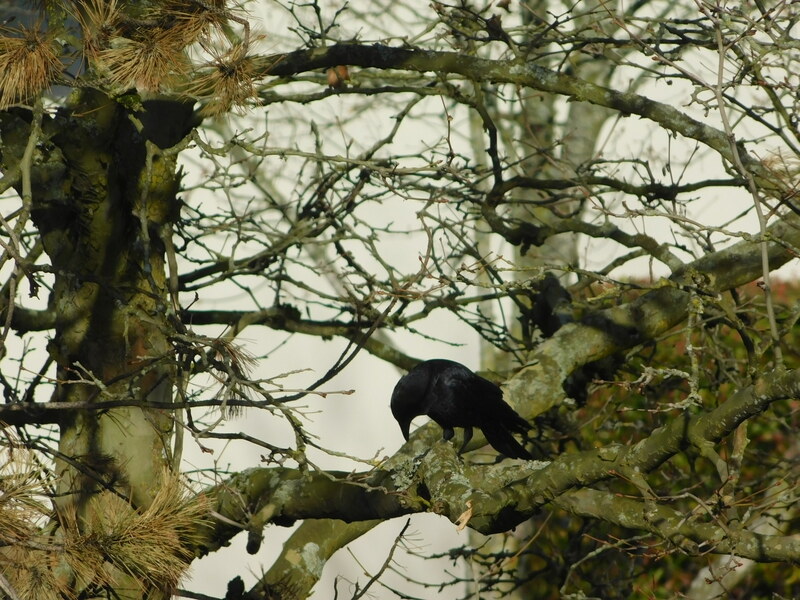 On the March 8th, lo and behold, there was a crow fighting with a stick in the maple trees. I take that as a sign that spring is here and the snow is really over here in Seattle. This tenacious guy or gal got free of the tree branches with the treasure and headed south. I ran into the next room to see where the nest site was. To bad the crow was faster than I and had disappeared down the street. Watch out Mr Crow I am watching for you and will find your home yet. You see if you want to know where a bird nest is you need to be alert early in the season for those tell-tale sticks, moss and other building materials carried in beaks. This year I don’t have a photo yet of the stick masters but do have a couple of the local crow pair getting an afternoon treat. Unfortunately, the pine trees outside my window have died in the last year. I had been sad by this for several months. The first one to turn brown and go was the nest tree from last year. Then his mates to the north went and now the ones to the south are going. The nest tree got cut down by our landscapers and the rest will be gone soon I bet. The crow family confirm my suspicious that a beetle has found a crack in the trunks and mined them to death. Here are a few picks of them having a snack. If you want to learn more about sticks and crows here are a few posts I have accumulated over the years.